Natalie is a sound installation artist & vocalist from Hanover, Germany. Her most recent work All or Nothing (Max-Planck-Institute Hanover 2002) displays Chewing Gum machines uttering short aphorisms after throwing a coin. As a musician she has recorded with the German Reggae band Vision & toured with Lee Scratch Perry. She is also a regular news reader & interviewer for Radio Flora's cultural programme. Mac's work ranges across various disciplines. He has produced large scale sculptural works for public and private sector clients such as Bristol City Council and Cooling Services, Thornbury. 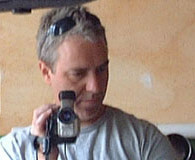 His video work has been exhibited at Watershed and as part of an international touring exhibition by the Arnolfini. He regularly contributes poetry to a variety of internet publications and has collaborated with Neil Jenkins on the generative poetry engine 'Orbital' which is to be featured in the academic journal of electronic arts: Leonardo. Proficient in programming & webstreaming, Neil has created websites for DA2, Arnolfini, YOTA (South West Arts) amongst many others. 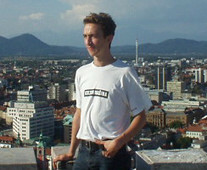 He is currently teaching at Bath Spa University and UWE. He recently completed a new software tool, informer, for Mute Dialogue which allows invited artists working collaboratively to document their working process and share ideas and media. Public art & inter-disciplinary collaboration are central to Annie's art practice. Works are often produced in response to particular locations or contexts and range across a variety of art forms - environmental / landwork, installation, digital media, design etc. Projects have included commissions for public and private sector clients eg. Bristol City Council, Rolls Royce. 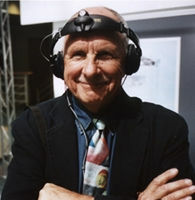 In 2000 she produced 'Pillow' in association with Hewlett Packard Research Labs, which was exhibited at Tomorrows World, Earls Court. Recent work includes 'reverberations' a public art project for Locws International in association with Nia Jenkins, a Welsh concert harpist. 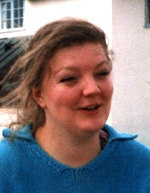 Annie is currently a Visiting Research Fellow at the University of the West of England. Roger studied music at the Sydney Conservatorium of Music, and trained in sound production at the BBC’s Christchurch studio in Bristol. He has composed music for television animations, commercials and documentaries including Lonely Planet and children’s serial Shelby & Egbert. 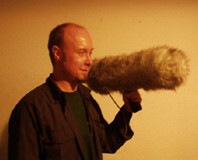 Music and sound design for theatre, dance and installations are a major part of his work which include soundtracks for Blast Theory and BAFTA award winning dance company Earthfall. He has co-written and produced acclaimed albums with Statik Sound System and Vine (Cup of Tea Records) Limbo (Astral Recordings) and has recently released a debut album with his band Eludea (Kordula Records). In collaboration with Bristol University he is currently writing the score for an experimental multi screen film due to be toured in the UK in the summer of 2004. Keti is a singer/musician and ethnomusicolgist: after graduating from Tbilisi State Conservatory she did research work at Tbilisi State University in the Department of Culture of Mediterranean Lands and has published over 10 research works. She teaches traditional music and is a member of MZETAMZE, the Georgian women's folk ensemble who have done workshops in France, England and Corsica. She has considerable experience of working with foreign students. 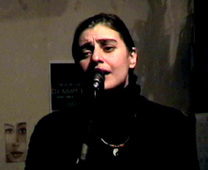 In her workshops, which are open to all, Keti teaches traditional Georgian songs collected from field trips to the various regions of Georgia. 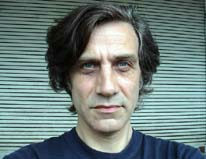 exhibited extensively in Europe, his media work includes installation and publication. Projects include Prognostic Eventual, a visual exploration of the various foreign embassies in Tbilisi. This work was "inspired by global changes in political, social and economical life during post-military time in the capital of georgia - Tbilisi". Koka has also exhibited at Ars Electronica and in the large group exhibition After the Wall: Art and culture in post-Communist Europe 1999/2000 Modern Museum Stockholm,Sweden. As a child Medea performed Soviet state poetry to large audiences. Her knowledge of poetry & traditional music is vast, she is a constant participant in the complex voicework of polyphonics. Medea had never considered herself to be a professional singer; her visit to Bristol in 2000 was her first experience in a professional recording studio, she has since been working in a studio in Moscow and continues music collaborations. Colin works exclusively in the business community introducing the work of Bristol artists to the corporate sector. During the last decade he has worked with Mac Dunlop & Annie Lovejoy on a variety of projects which enhance the working environment: eg. Cooling Services, Burger King International Headquarters, Imperial Business Interiors. In his role as HNT project advisor he is particularly interested in finding opportunities and applications for the extensive archive of material which HNT has accumulated since 1998. 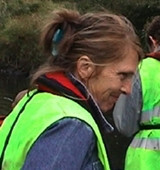 Jacky Puzey was Exhibitions Officer at Watershed until September 2000. Her academic research for her MA in Visual Culture focussed on creative uses of digital technology, examing interaction and audience experience via works based on collaborative participation. Now she has returned to her own creative practice with a project using fictional national costumes to examine the experiences of travelling.